Obstacle course racing coaches and athletes advise on how to make the jump from running to OCR. A typical daily run doesn’t include muddy pits and barbed wire. 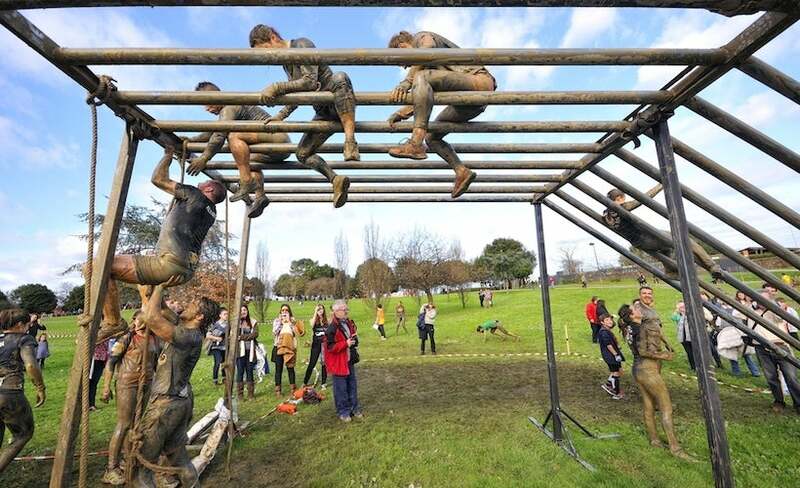 There are no walls to climb or buckets to carry in the usual 5-miler, but with some training, runners can successfully make the leap to obstacle course racing (OCR). Obstacle course races, such as Spartan Races, Warrior Dash or Tough Mudder, blend technical running with military-style obstacles. With mud, javelins and sometimes even electric shocks, runners new to OCR may find it challenging. While most runners may be able to push through the course distances (which usually range from 3 miles to marathon length), those runners will face obstacles that test something many runners lack: Upper body strength. Culp suggests working specifically on building both grip strength and full body strength because, in many races, failing to complete an obstacle (by falling from monkey bars mid-race, for example) results in penalties like added burpees or extra laps of running. But training for those obstacles doesn’t have to mean logging long hours in the weight room. Rutz has one more piece of advice for runners eyeing an OCR race. “Be warned: It is very addictive,” he says. “OCR has taken many runners and turned them into OCR race champions.” Even if you don’t make it onto an OCR podium, Atkins says that training can help make runners better athletes all around. “The fitness that you build to perform in OCR races is very well-rounded and allows you to be a much more complete athlete: an athlete who can still run fast and far, but can also carry heavy things and climb mountains,” Atkins says. Should You Train For An Obstacle Course Race?